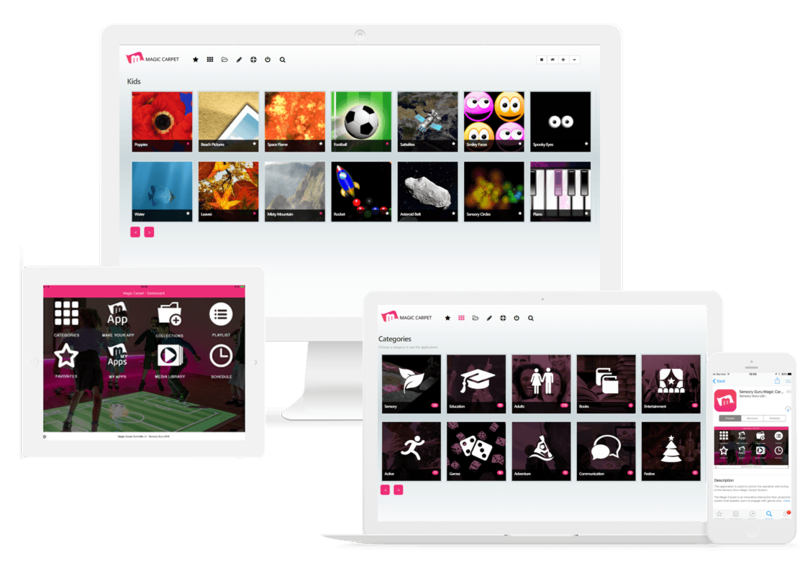 Choose from 500 pre-loaded apps or create your own content using our 35 templates. Mobile Magic Carpet is a highly portable, non permanent installation. It is plug and play straight out of the box and can easily be positioned in the perfect place. Need to change the room layout or share in another room? No problem, simply re-position in a matter of seconds. Plug and play straight out of the box. Simply plug in, turn on and watch the system load straight into the Magic Carpet software. To control via the App, download to your device and pair to the Mobile Magic Carpet. It’s child’s play! The interactive image is totally immersive and intuitive. Users are instantly engaged and proactively explore the Apps. From young and old, mainstream education to sensory applications with complex needs, the Mobile Magic Carpet is and amazing, engaging system. It also supports multiple access methods: gesture, eye gaze, mouse and touch. With 500 free Apps included along with 35 templates to create your own content, the Mobile Magic Carpet is only restricted by your imagination. The App Builder allows engaging content to be quickly and easily created. No imagination? No problem. You have access to over 5,000 media assets already loaded onto the system. Control the Mobile Magic Carpet using the wireless keyboard supplied, or via the App available on iOS and Android. Alternatively connect wirelessly via laptop. Mobile Magic Carpet is also Tobii Dynavox eye gaze compatible, ensuring all users are able to engage in an amazing experience. 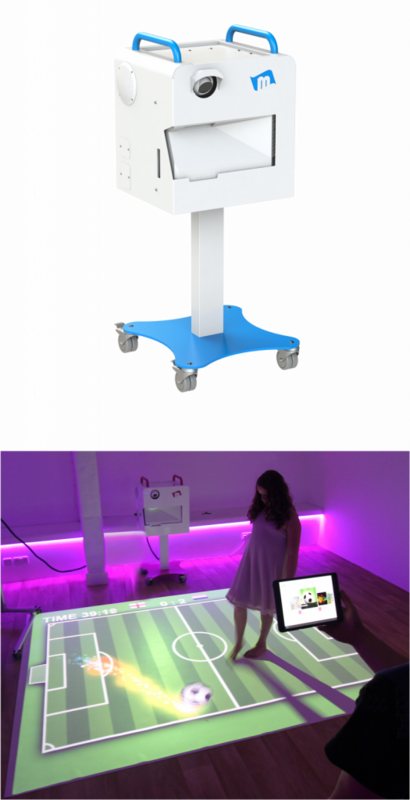 By safely electrically raising and lowering the Mobile Magic Carpet the interactive image is able to be projected onto all kinds of surfaces. 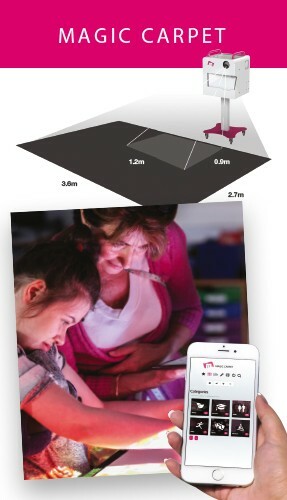 Make a massive interactive floor, or an interactive wheelchair tray or table. 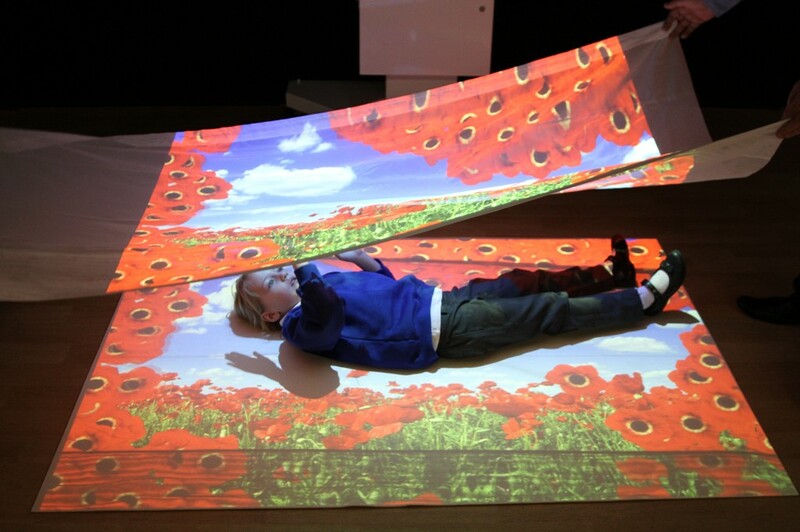 You can even make yourself interactive… in a bed! Our intuitive and simple to master app builder will have you making your own stunning interactive apps in minutes. The app starring feature allows you to add apps to favourites from anywhere in the software. With advanced search you can search all apps, collections and media library by name. Useful with over 500 pre-loaded apps! Use the wireless keyboard or control Magic Carpet from iPad, tablet, phone or laptop using our apps for iOS and Android. Shutdown the system directly from the power down button in the Magic Carpet app to turn off the system!